Short Business Description: As one of the highest-ranking Auctioneers in East Cork, Ahern Auctioneers has developed a reputation of service and excellence. Going the extra mile is not only about being different; it is just our way of business. Since we first opened in 1998, Ahern Auctioneers has consistently been a leader in the listing and sale of residential real estate in the East Cork area. As one of the highest-ranking Auctioneers in East Cork, Ahern Auctioneers has developed a reputation of service and excellence. Going the extra mile is not only about being different; it is just our way of business. Since we first opened in 1998, Ahern Auctioneers has consistently been a leader in the listing and sale of residential real estate in the East Cork area. Having an outstanding, professional team is critical when offering the highest level of personal care that Ahern Auctioneers is committed to providing. Ahern Auctioneers maintain a reputation of service by personally keeping in close contact with our sellers by keeping them informed of market conditions and much more. Ahern Auctioneers unwavering commitment to excellence in all that they do has resulted in clients for life. Ahern Auctioneers are PSRA and SCSI registered Auctioneers, Valuers & Property Consultants who specialize in all property market areas including Sales, Lettings and Valuations. Colbert & Co Estate agents are a family run business with over 30 years’ experience in the property sector. We are one of East Corks fastest growing Estate agents and offer expert advice on Sales, Valuations, Letting and Management. We pride ourselves on being personal and approachable. Your property means everything to you so we make sure that all our clients feel like they are our only clients. We are enthusiastic and innovative and this shows in our business, office and results. Just recently we were shortlisted for a CSR award by Chamber Ireland for making our office paperless. Achievements and ideas like this epitomise our company and we are constantly striving to better ourselves. Give yourself and your property the best service and use Colbert & Co Estate agents. Your property professionals. 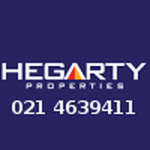 Hegarty Properties is a dynamic, multi service Property Sales business. It has been operating as an independent business in East Cork since its inception, and services a wide range of residential sales, lettings as well as Land and Commercial enterprises. Hegarty Properties is owned and managed by Adrianna Hegarty S.C.S.I. Short Business Description: The offices are headed by Michael O’Donovan and we service Corks satellite towns and hinterland, specialising in residential sales and valuations. Sherry FitzGerald O’Donovan Midleton is uniquely positioned to offer its clients, investors and developers who all demand the highest standards of professional integrity & trust. 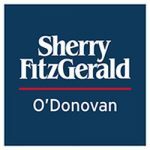 Sherry FitzGerald O’Donovan first joined Sherry FitzGerald Countrywide in May 2000, with the Midleton branch opening in September of the same year thus broadening its provision of property related services to a wider client base. Sherry FitzGerald O’Donovan now operate 4 busy offices in Mallow, Midleton, Fermoy and Carrigaline. The offices are headed by Michael O’Donovan and we service Corks satellite towns and hinterland, specialising in residential sales and valuations. Sherry FitzGerald O’Donovan Midleton is uniquely positioned to offer its clients, investors and developers who all demand the highest standards of professional integrity & trust. Clare O’Sullivan manages the Midleton branch. Clare is a native of East Cork so knows the market intimately. She has over 10 years’ experience in both the Midleton and Cork City market and an Honours Degree in Property Valuation and Management from LIT. Her professional background is in residential sales, new homes and fine country homes and has been directly involved in many high profile sales in Cork City and its satellite towns.